Epilepsy is a chronic disorder characterized by recurrent seizures due to unknown etiology. In around 30% of patients, seizures become refractory to medical management, and they are candidates for epilepsy surgery. Success of the epilepsy surgery depends on the precise localization of epileptogenic foci and the totality of its removal. Surgery for epilepsy may be diagnostic (seizure localization) or therapeutic (resection of epileptogenic foci or modify the discharges). 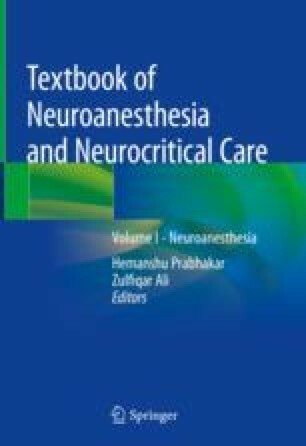 Significant challenges for anesthetic management of adult and pediatric patients undergoing surgery for epilepsy include altered pharmacokinetics with antiepileptic medications, use of awake craniotomy, special techniques like intraoperative electrocorticography, and/or pharmacological activation of seizure foci. Hence, careful perioperative care of these patients is vital to the success of the surgery.